Following two consecutive months of modest increases, the National Association of Realtors (NAR) reported a sizable decline in pending home sales during April 2011. 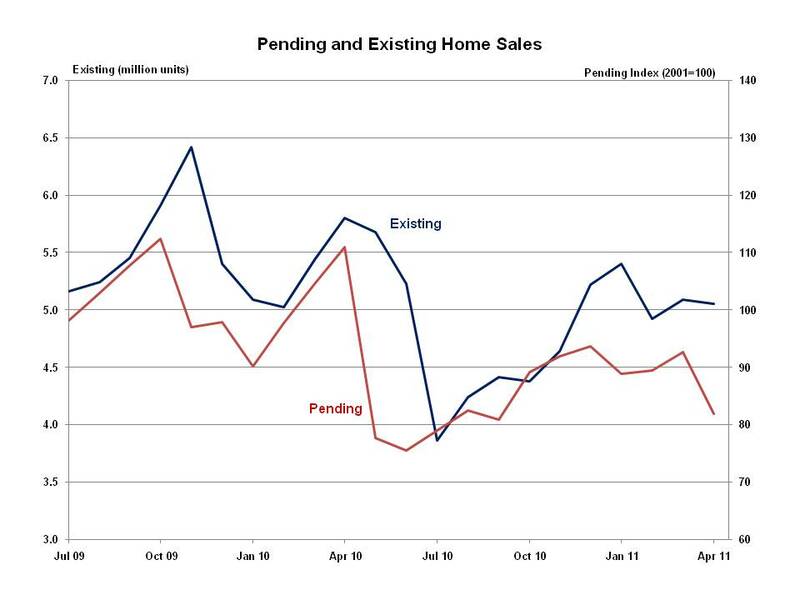 The Pending Home Sales Index (PHSI) fell to 81.9 in April, an 11.6% drop from a downwardly revised 92.6 in March. On a year-over-year basis, the PHSI is 26.5% below its April 2010 reading, but this is not a good comparison since home buyers were trying to purchase ahead of the federal home buyer tax credit’s contract deadline. Indeed, weather might be a key reason behind April’s unexpectedly large decline. This was the 10th wettest April on record and a preliminary total of 875 tornadoes were reported—an all-time high for any month on record. These often-violent weather patterns occurred throughout the South and Midwest and very likely had an impact on homebuyer traffic and contract activity last month. The PHSI declined in every region except for the Northeast, where it registered a 1.7% increase between March and April. Not surprisingly, the South experienced the largest percentage decline (17.2%) in the PHSI. The index fell 10.4% for the Midwest region and 8.9% in the West. Since the PHSI is based on contracts signed, the index typically leads existing home sales by a period of one to two months. Consequently, existing home sales could register large rates of decline during May or June.